Hi my name is Tara Rai, welcome to my homepage! I would like to introduce myself. I was born in Mangtewa Village in Sankhuwa Sabha District, located in the eastern part of Nepal. My parents are farmers and from a young age I have helped them on the farm. I attended school in Mangtewa Village and went to Pokhara University in 2006 to study Sociology and Anthropology. While attending school, I started to work as a porter for my brother in law´s company, Prem Rai. He taught me everything about the trekking business and supported me in working as a trekking guide from 2006 until now. I learned English in school and improved my communication skills through the constant contact with trekking tourists from all over the world. I’ve been living in Pokhara since 2006. I was married in 2013 and two years later my wife and I had a daughter. Now I would like to work as an independant trekking guide in the hopes of owning and running my own business. I love my job because it gives me the opportunity to meet many different people from different cultures and to help them fulfill their dreams . I am an openminded and curious person and I love to learn about different peoples‘ cultures, habits and ways of thinking. I am always happy to learn new words in other languages as well as teach some Nepali phrases to my clients if they are interested. I am thankful that my job allows me tob e in nature and I always try to bring our Nepali culture and the beauty of our mountains closer to my clients. I often work closely with the families who run the teahouses, restaurants and lodges on the different trekking routes. My clients know me as a very trustful and caring person who always tries to satisfy their wishes. That includes organizing medical help in cases of problems as well as giving full body massages to relax muscle tensions or even reduce pain in the neck, back or legs of my clients. I am in constant contact with local people to get the latest information about potentially blocked trekking routes or weather problems. I also work with professional and trustworthy porters that I have known for many years. Interested in cultural immersion and interesting side hikes? I love taking clients off of the beaten path in order to experience all that the Himalayas have to offer! If you have any further questions about me, feel free get in touch! 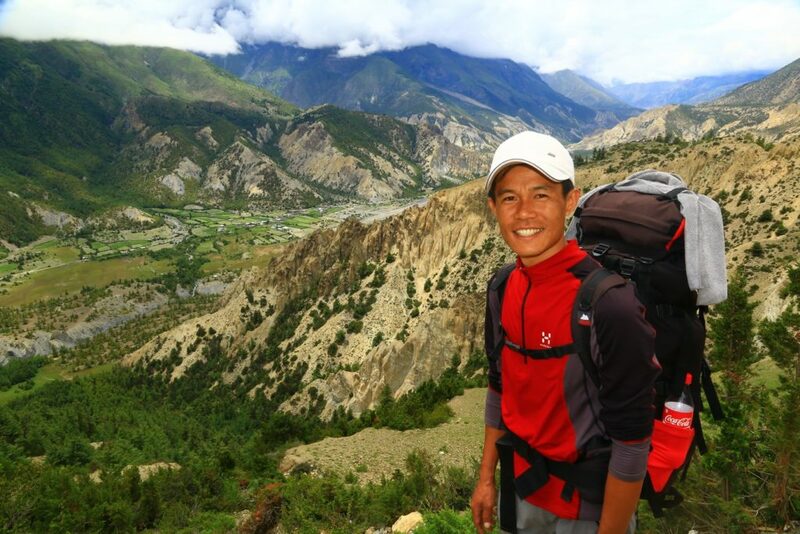 I am currently expanding my trekking experience in different other areas, so feel free to ask about other options. I generally try to fulfill the wishes of my clients and in case adapt the routes. The offer includes the organization of transport, pick up services, hotels, flights within Nepal, sightseeing in Kathmandu, Bhaktapur, Pokhara or Chitwan National Parc as well as shopping of cheap equipment in Kathmandu or Pokhara at trusted trekking gear companies. If you need any information about the treks, equipment or else you are very welcome to contact me. The costs of the treks depend on the length and area of the trips as well as on individual optional wishes. I invite you to contact me for further details.